SNAICC 5th National Conference in Cairns well received! How will the childcare reforms affect your funding? Let’s work together to ensure a fair start for our kids! SNAICC Survey 2015 – Time to tell us what you think! SNAICC Conference Early Bird registrations closing soon! East Arnhem Mediation office lost in cyclone — can you help rebuild it? SNAICC National Conference Call For Papers opens 1 Dec! Share your thoughts on evaluation in child and family organisations and go into the running to win a $100 prize! Media Release 03 December 2012 – SNAICC and NATSILS Royal Commission into institutional child sexual abuse. Family Day Care Quality Assurance, Handbook (2004) – National Childcare Accreditation Council Inc. The Legal Aid Commission produces a range of publications and fact sheets to help the community understand the law in the Northern Territory. Media Release 25 May 2018 – Adoption: Not now. Not ever. Media Release 13 February 2018 – Where do the lives of today’s children fit in reflection of national apology? Media Release 15 August 2014 – Productivity Commission report: where is the blueprint for Aboriginal and Torres Strait Islander children and families? Media Release 30 May 2013 – How do we remove the harm and not the children? Media Release 11 October 2012 – When can our children expect to enjoy the same rights as other Australian children? Member Profile: Family Worker Training and Development Programme Inc.
SNAICC educational resources on sale now! Do you want to learn more about the political system to make change in your community? This year’s Children’s Day theme and bags are here! Only one week to the SNAICC National Conference! Learn an Aboriginal language on your smartphone today: here’s how!  Aboriginal Children and Family Centres need funding certainty…now! UN Committee calls for Aboriginal decision-making on Aboriginal issues – The Australian report card: what does it say? VIDEO – SNAICC Forum PART 2 Q and A Stop the Creation of Another Stolen Generation! VIDEO – SNAICC Forum PART 1 Stop the Creation of Another Stolen Generation! VIDEO – Bernard Sabadi – Speaks about his role as a father, leader, protector and provider.